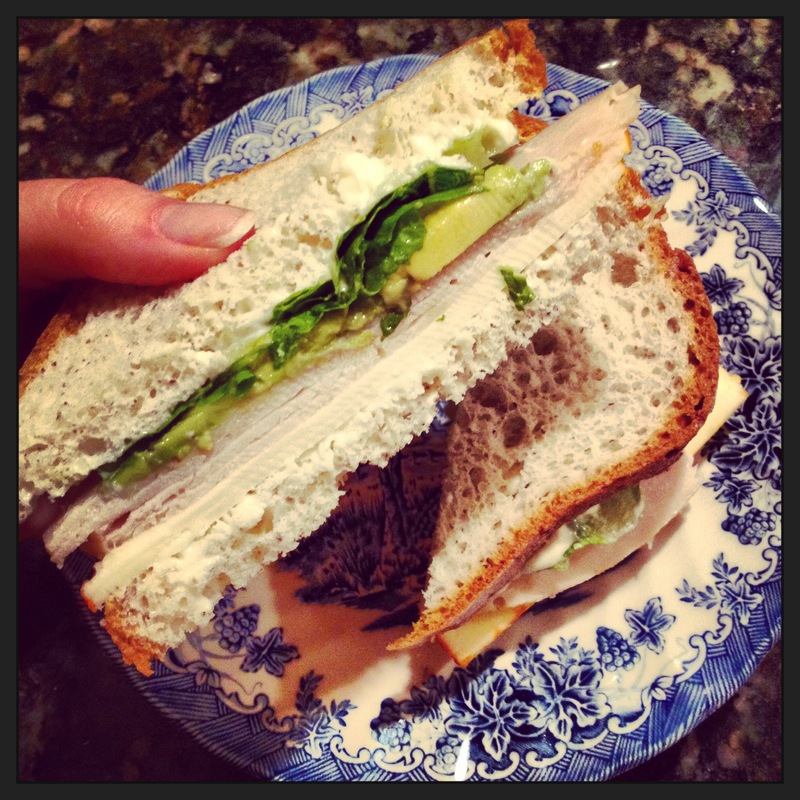 One of my favorite combinations is turkey, avocado, lettuce, Munster cheese and light mayo (pictured above). I have been eating gluten free for about 4 years now. It’s hard to believe it’s been that long, honestly. But, it has changed my life. No more worrying over unwanted mystery skin problems – or unnecessary bloating. It’s funny that eliminating wheat from your diet could so dramatically alter your life; but, my life is altered! I do miss a few things like my lovely turkey Reuben from Jason’s Deli or dining at The Olive Garden and eating those bread sticks. However, when I think about how my body feels, it is hard to miss these things for long. That being said, there are some nights that I just want a sandwich for dinner. Thankfully, there are many fantastic gluten free bread options out there – so my craving can be satisfied. This is by far my favorite gluten free bread. I get this at Trader Joe’s and typically buy two loaves (put one back in the freezer). It really tastes so similar to real bread. It will have you thinking you are biting into a slice of the authentic stuff. This is my second choice –if I can’t find the whole grain stuff. With the Udi’s brand you can’t go wrong. If you are a Wonder Bread lover – this is the gluten free bread for you. Hands down. This one is pretty good. If I remember correctly, the sizes of the slices are a little bit smaller than Udi’s. But, it tastes pretty good. I recommend using this for sandwiches. Tried making toast one time with this bread and ended up getting a baby piece – it shrunk so much in the toaster. But the taste is good. This one has a sweeter taste. For the sweet lover, this might be the best option. It is not an overpowering taste. It just offers a hint of fruit juice flavor with every bite. This would be the perfect bread for a cream cheese, strawberry sandwich. The texture of this gluten free bread is a little frustrating. It is a bit crumbly. The flavors are also a bit different from that of regular gluten free bread. However, I would not rule it out. Some people may like a little bit of a drier tasting sandwich.